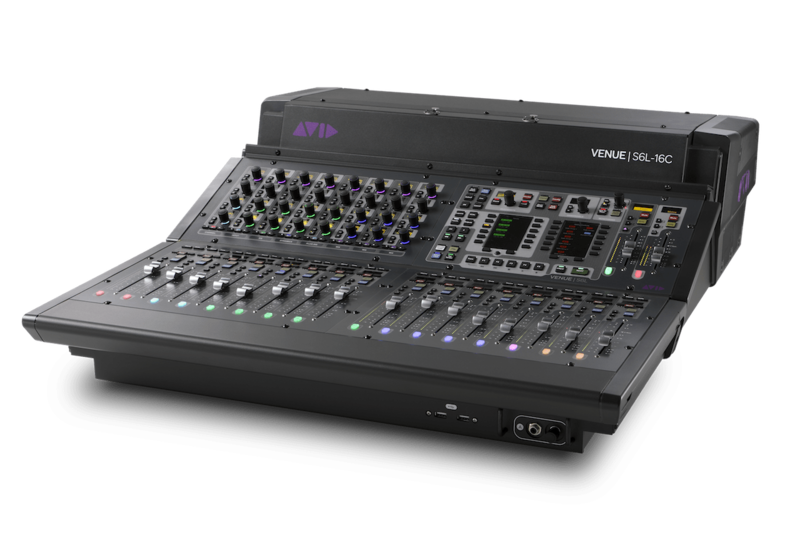 Avid VENUE | S6L-16C, VENUE 6.1, and new iOS app now shipping! 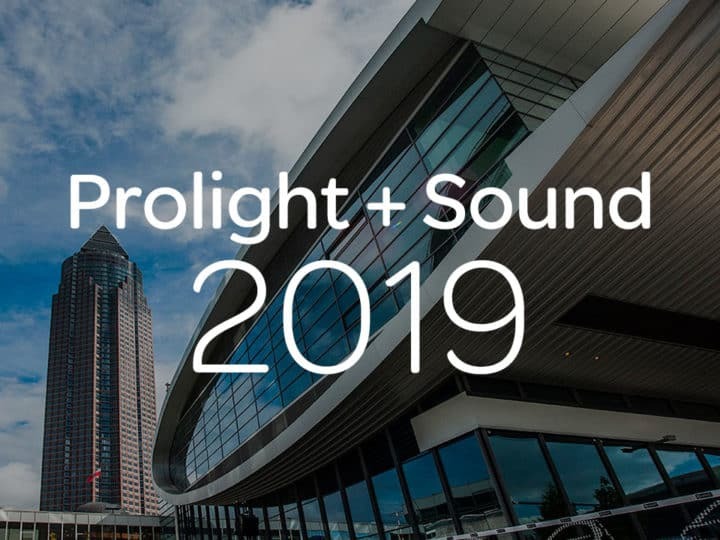 The live sound team has been steadily trucking along with rolling out the S6L Unified Platform since we launched it in April of 2018. 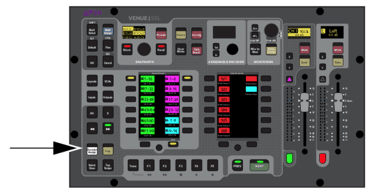 The new VENUE 6.1 software release provides support for the new S6L-16C control surface, allowing it to join its larger sibling, the S6L-24C, which started shipping in September 2018. Being as it sports such a small physical footprint, we made a few changes to the VENUE software to provide S6L-16C users with access to the same workflows as on the larger control surfaces. Of course, we couldn’t just stop there. The goal of VENUE 6.1 was to improve customizability, access, workflow and speed—and we have delivered a ton of new capabilities and workflows in this release. Although many of the new workflows are most useful on small surfaces, with the exception of the Universe View being added to the VENUE software for S6L-16C only, all surfaces benefit from the new features. VENUE 6.1 is now available to download at no charge if you have an S6L system and a valid Avid Advantage Elite Live support contract—you’ll find the installer in your Avid Account. When space is limited, you shouldn’t ever have to cut back your show. With the S6L-16C control surface, the biggest shows can fit into the smallest footprint. Like all VENUE control surfaces, users can run any S6L surface with any E6L Engine, so if you need to run 192 inputs, connect your S6L-16C to an E6L-192. With its small, screenless form factor, the S6L-16C has an alternate way of viewing the Universe screen via the External GUI, under the Overview tab. 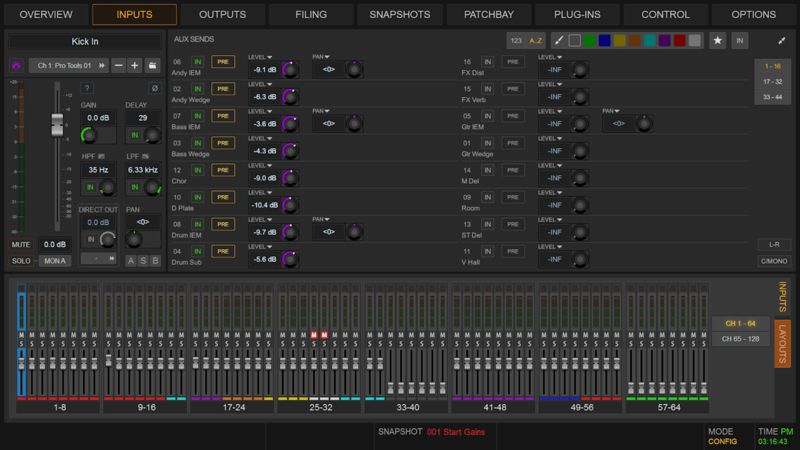 The Universe screen has all of the same functionality and workflows as on all other S6L control surface variants. Additionally, the Console Configuration Screen has been moved to the Options tab of the External GUI, allowing all of the same functionality as the Console Configuration Screen on the MTS for other control surfaces. With the level of customizability that exists now in VENUE software, users have been creating massive events lists with all sorts of Actions and Triggers, from turning on house music at a set time and automated EQ changes depending on fader position, to variable compression ratios triggered by incoming signal. Users had asked if there was a way to remotely trigger these events—and of course there are ways to do it using wireless MIDI, or any of a million other alternates—but we figured an iOS app would be simplest. 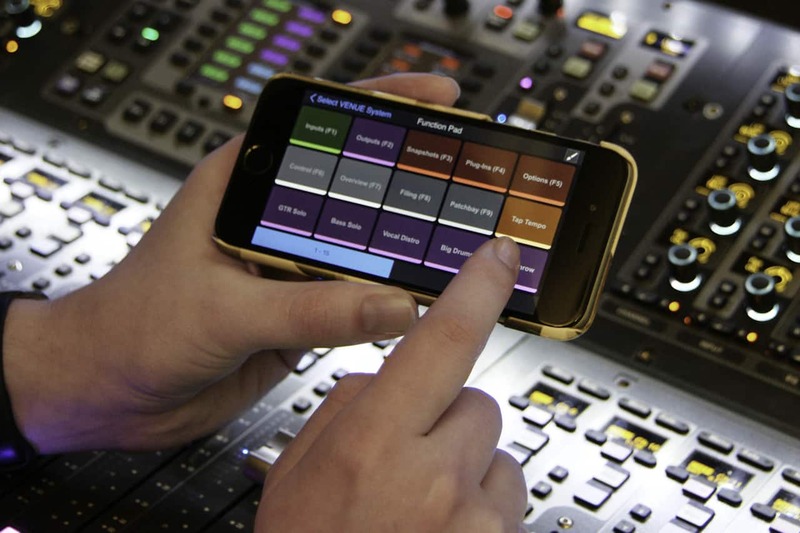 Like the VENUE | On-stage iOS app, VENUE | Function Pad allows up to 16 users to connect from iOS devices to an S6L system and trigger function keys remotely. Not only can the app control triggering function keys, but a user may also color code the function keys within the app itself. 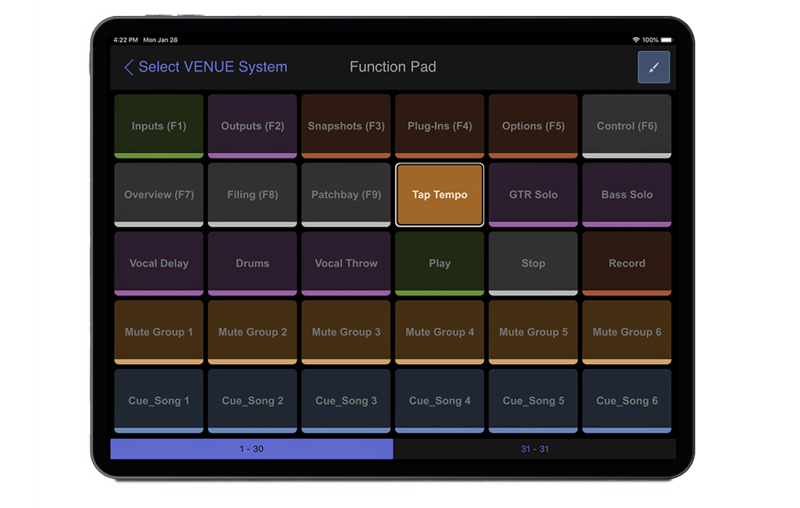 While most engineers would use this app for quicker access to more event triggers, if you’re feeling bold, monitor engineers can allow on-stage technicians to control the routing of their own talkback mics using VENUE | Function Pad. 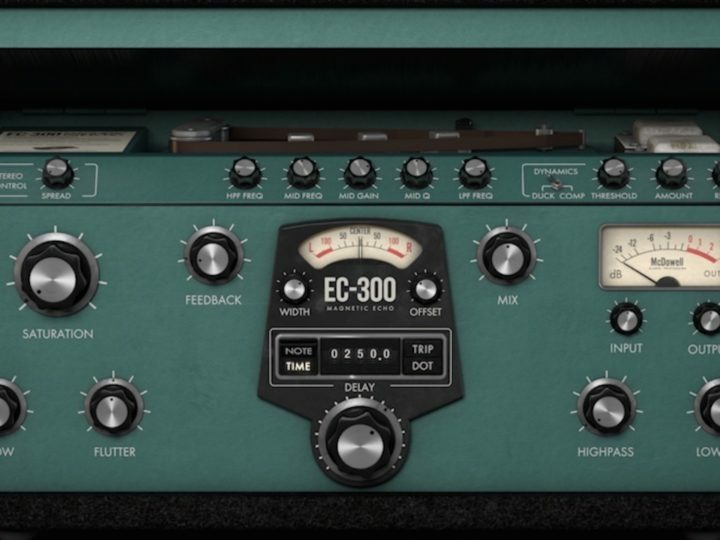 If you’re feeling really bold, you could even allow a musician to enable and disable effect plugins on their instrument or voice from the stage. S6L already includes the incredibly powerful ability to record up to 128 channels of 96k, 24-bit audio over a single Ethernet cable. With VENUE 6.1 another computer can now be your full-on redundant record system by plugging in just one more Ethernet cable. 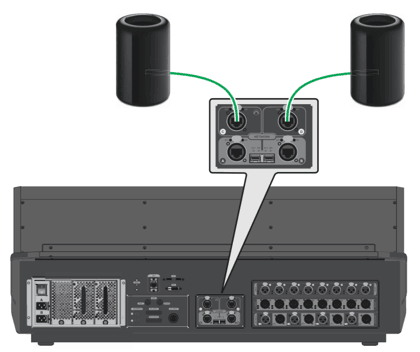 Plug a qualified Mac into port C on the control surface and record up to 128 channels at 96k, plug another into port D and you’ve got your redundant recorder. You’ll be able to Create from VENUE with both machines, and VENUE Link will allow the console to control the transport and write and recall markers for both systems simultaneously. Ultimately, that means with a few minutes of setup time, and the press of one button on the console, you can start synchronized redundant recording. When you’ve got high channel counts, and too many things to pay attention to, quick access to parameters is incredibly valuable. Too many times an MC has picked up the wrong microphone, or a last-minute addition of a video playback has to happen in a pinch. Fortunately, Attention on Fader gives engineers quick access to all channels in the system so that it’s not a struggle to get a channel onto your surface in an instant. In VENUE 6.1 software, an Attention on Fader button has been added to the MLM’s display. When pressed, this button will place the currently attentioned fader onto a fader right in front of you, already selected so channel parameters will be accessible immediately. You can even use the Universe or external GUI to attention other faders that may not be on your current layout, and the Floating Fader will update to whatever is currently attentioned. To hide this fader and exit Attention on Fader, press the Attention on Fader button again, unselect the fader, or navigate to a new fader bank. With quick-access in mind, Encoder Assign allows the user to create a custom “vertical channel strip”, much like “Channel” control mode allows the user to create a custom selected channel encoder set. 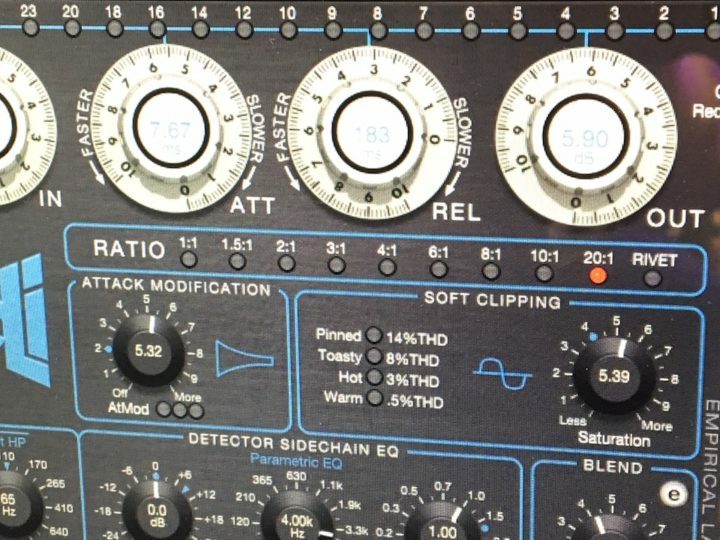 Often a user doesn’t need to see Aux 1-4, or 5-8, but rather some mixed set of parameters, such as Gain, Compressor Threshold, Aux 1, and Aux 12. Encoder Assign allows a user to set up this custom strip, and access it with a single press. To set the custom channel strip, press and hold Encoder Assign—this will enter into Encoder Assign User Assignment Mode (it’s a mouthful, I know), and you’ll see the left-most CKM go blank, with the top row flashing to indicate that the top row is targeted. Touch an encoder on another CKM, or an encoder on the External GUI to assign it to the flashing encoder row. If you’d like to target another encoder row, just touch it. Again, touch an encoder on another CKM, or an encoder on the External GUI to assign it to the flashing encoder row. Once you’re done assigning the four rows, press OK, or Encoder Assign again to exit and store the assignment. Once assigned, a single press of Encoder Assign will switch any channels in vertical mode to the custom vertical channel strip that you just created, and pressing the button again will return to its previous vertical parameter set. The encoders will be lit in the color associated with the parameter type that is assigned. For example, Input parameters are White, EQ parameters are Green, Compressor Parameters are Blue, etc. Like most other features in VENUE 6.1, this feature is aimed to make accessing controls quicker. In VENUE 6.0 this feature was added to the VENUE Standalone Software, but this time you’ll see it on the console itself. The external GUI’s view of Aux Sends on an input channel has always been more of an overview than a detailed page, but with Parameter View for Aux Sends, you now have full access to all detailed controls for every Aux send from a channel with a single touch on the External GUI. When viewing an input channel on the External GUI, touch the Aux area to enter this expanded view. On this expanded page, you have the ability to control send levels, pan, pre/post, and on/off state all by touch. To exit this view, simply press the Collapse button in the top right corner of the page. 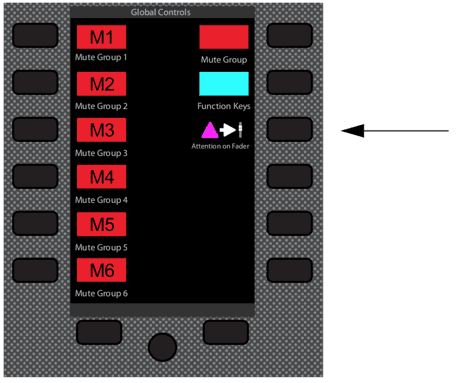 Complexity is made simple in VENUE 6.1 by allowing engineers to make changes on multiple channels with single fader moves. Monitor engineers often are asked for mix changes that require trimming the auxes on many channels at a time, such as, “I need more drums in my mix.” In the past, a monitor engineer would have had to manually trim up the aux send on every drum channel by the same amount in order to achieve this, and even in Sends on Faders it’s hard to maintain the exact same relationship of levels when moving a bunch of faders up and down. In VENUE 6.1, VCAs Trim Aux Sends can be enabled in Options > Interaction (it’s on by default). 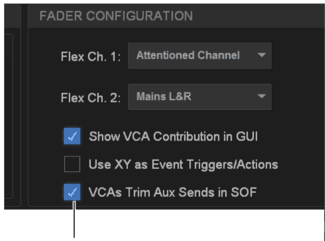 When this option is enabled, entering Sends on Faders will allow you to use VCAs to trim the currently flipped send for all members of that VCA. Every time you enter SOF, the VCAs on the surface will position themselves to Unity, and any VCA moves up or down will adjust the sends for the members of that VCA. If you exit SOF and re-enter SOF, the VCAs will be back at unity—remember they are trims for the actual sends. With so many VCAs within the system, users can even create VCAs with only this purpose in mind. And don’t forget that VCA members can be snapshotted, so a user could make snapshots to customize the members of VCAs to use for monitoring depending on the song or scene. This isn’t just useful for monitor engineers though. 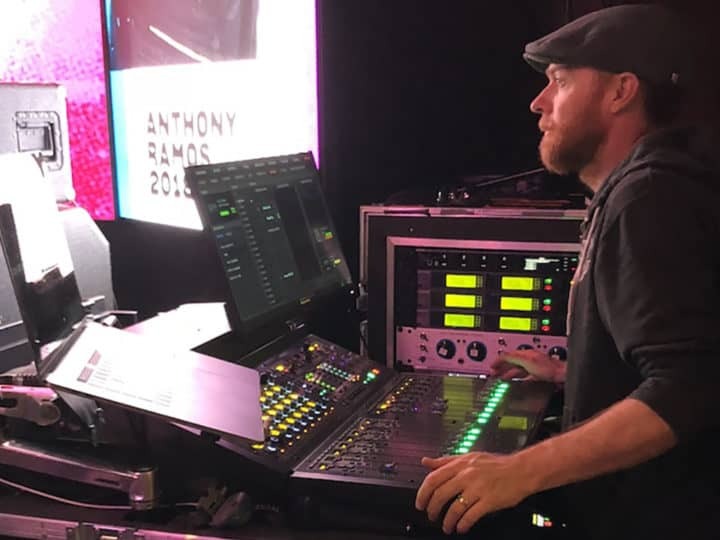 Broadcast engineers can easily make complex changes to submixes, and front of house engineers can quickly adjust sub sends for all playback tracks, or drum reverb on the whole kit. When working with large channel counts and complex events, simplicity and speed become the most valuable functions of any live console. VENUE 6.1 aims to make your life easier, allowing you to realize a level of access and control that has, until now, been impossible on any live system. With one-touch access to almost everything within the system, and a identical workflows that extend from the smallest footprint S6L-16C to the flagship S6L-48D control surface, S6L is designed to help you achieve your best mixes faster than ever.